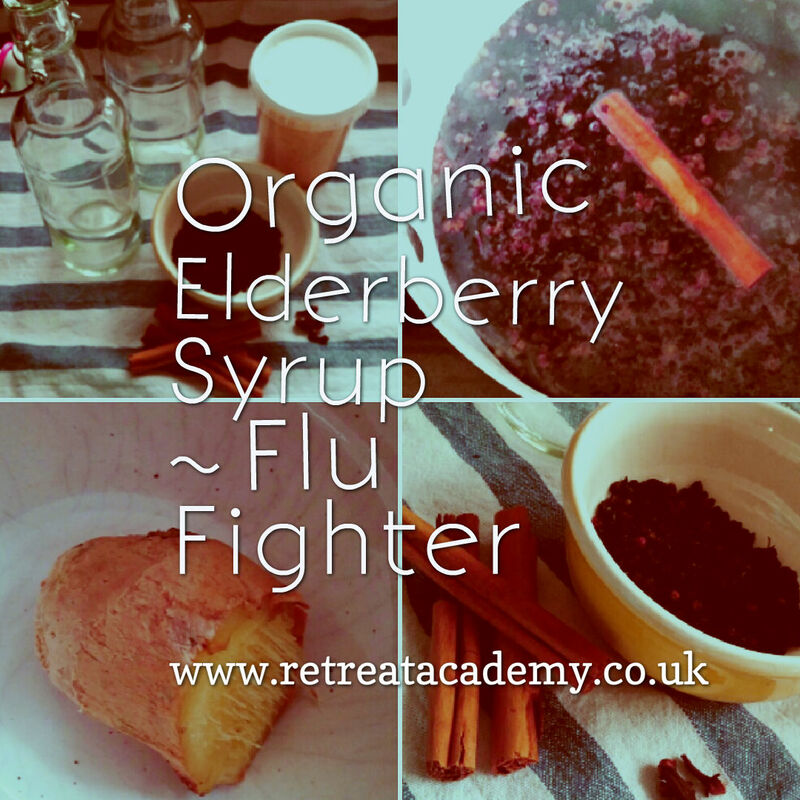 Winter is coming and so is the season for colds and flu. As someone who will avoid any kind of medication unless death is a distinct possibility I love alternative remedies. 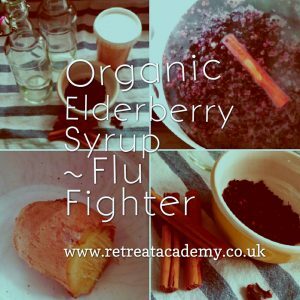 This is my tried, tested and much loved Organic Elderberry Syrup, we use it each winter to ward off the evil colds and flu. It tastes great ( bonus ) and it’s safe for children over 12 months old. 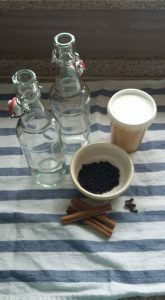 You can take it daily as a preventative potion or you can pour over desserts or make delicious warm drinks with it too. Should you get ill it helps to reduce the length of a cold or flu dramatically too if you up the dose. Details after the recipe will tell you what to do. Whenever I make this for my family I get extra requests to make some for friends and clients, this year I’ve gone into mass production, I offered anyone who wants to cover the cost of ingredients can have one, I lived to regret that! 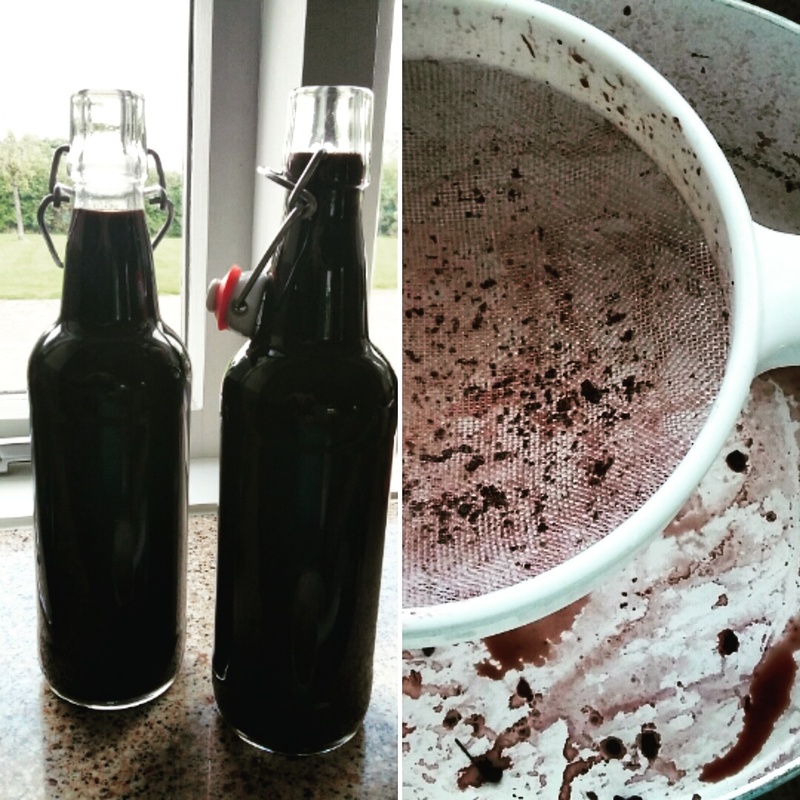 I’ve been brewing for hours! Why is elderberry syrup so good? Because elderberries…. Recent research has proven what traditional healers have always known known: the dark berries are powerhouses. Their inherent antioxidant properties, coupled with high levels of bioflavonoids, pack the berries with immune-enhancing abilities. Married with the healing benefits of honey and laced with the antibacterial qualities of cloves, cinnamon and ginger, the berries go from healthy to super powered! 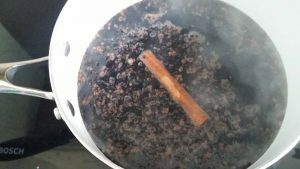 Take your herbs and spices and add to already boiling water, bring back up to the boil and then lower to a gentle simmer for around half an hour until the liquid has reduced by half ( 2 cups ). I pop a lid on my pan to slow down the process to pull all of the goodness out of the herbs and spices. Leave to cool a little and then carefully sieve into a jug or bowl. Make sure you mash and press the berries and spices left behind to really extract the goodness into your syrup. Discard the mush and leave the liquid to cool further. We only add the honey to a cool liquid as any kind of heat will destroy its beneficial properties. Once cooled add the cup of honey and stir well. 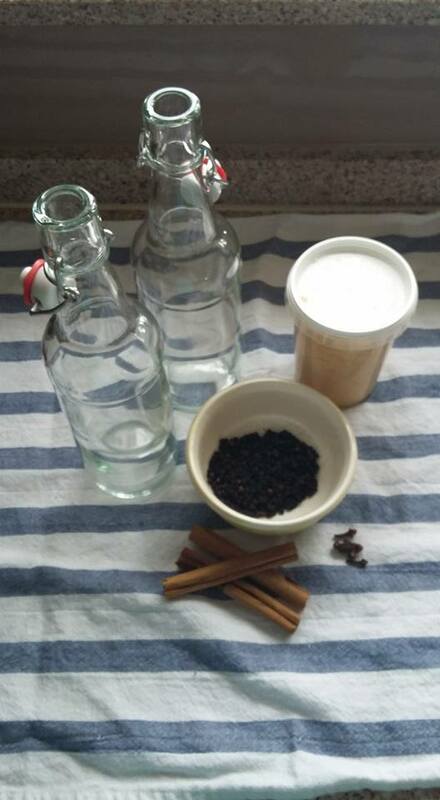 Decant into a sterilised bottle, label and pop on the lid. This will keep in the fridge for easily up to 12 months although ours never lasts that long! Adults 1 Table spoon Daily Children under 12 1 teaspoon daily. Also delicious poured over desserts, ice cream, pancakes and anything you have an excuse to cover with it!